Hojo Undo was designed by Kanei Uechi to help students to understand better the different technics to be used during Kata performance. 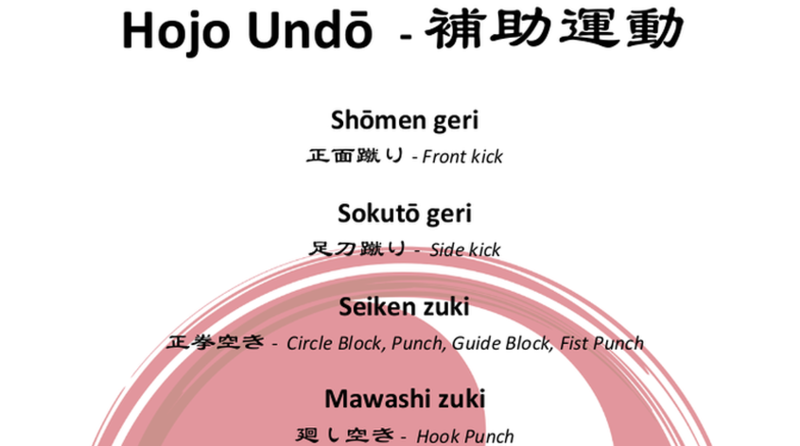 Hojo Undo is regularly used during in Dojo sessions just after the warm up. All the techniques are performed in Sanchin-Dachi (Basic Uechi Stance). In order to facilitate your training, I have designed for you an Hojo Undo Poster you can print in A4 or if you can in A3 (the fonts are fully compatible with all the printers).